Real Forni presents MR2, electric deck model it can arrive at 500°C, designed specially for products that need very high temperatures like pizza or pita bread. Flexible, it can have from 1 to 5 decks and many possibilities to combine the oven with leavening chamber, simple support or a hood. 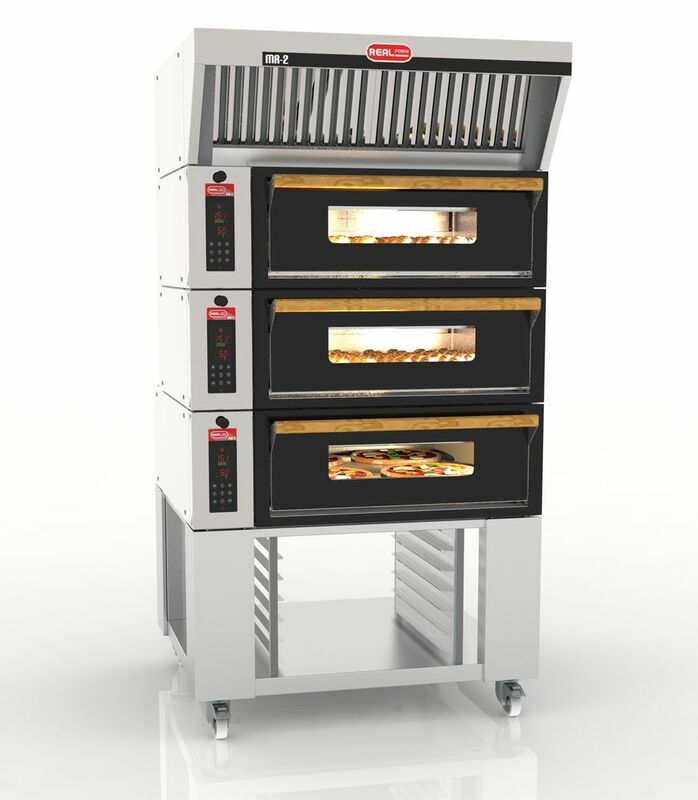 Asso 5E is a static 5 deck oven projected for the reduced and different production of a small bakery, with a split function enabling to have two baking processes at the same time. Elettroreal is an electric static deck oven with fully independent decks in stainless steel and top/bottom and front adjustment. Boss is an electric rotary oven that combines maximum efficiency, reduced overall dimensions and low consumptions. All components requiring maintenance are in the front side and are easy reachable, this way it’s possible to place different ovens side by side. Rotoreal SP is a rotary oven, with the concept of heat exchanger and new air circulation system. It can be electric or with gas, oil or pellet burner. Both rotors are completely in 304 stainless steel and are available in different sizes.